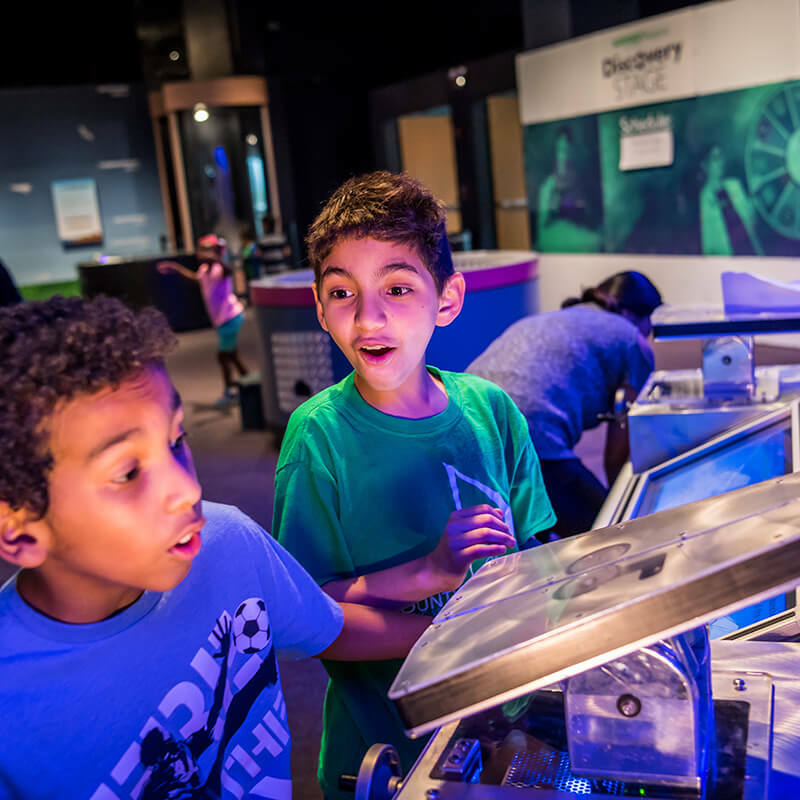 Explore the atmosphere, biosphere, geosphere and hydrosphere to discover how they interact to make life possible on Earth. 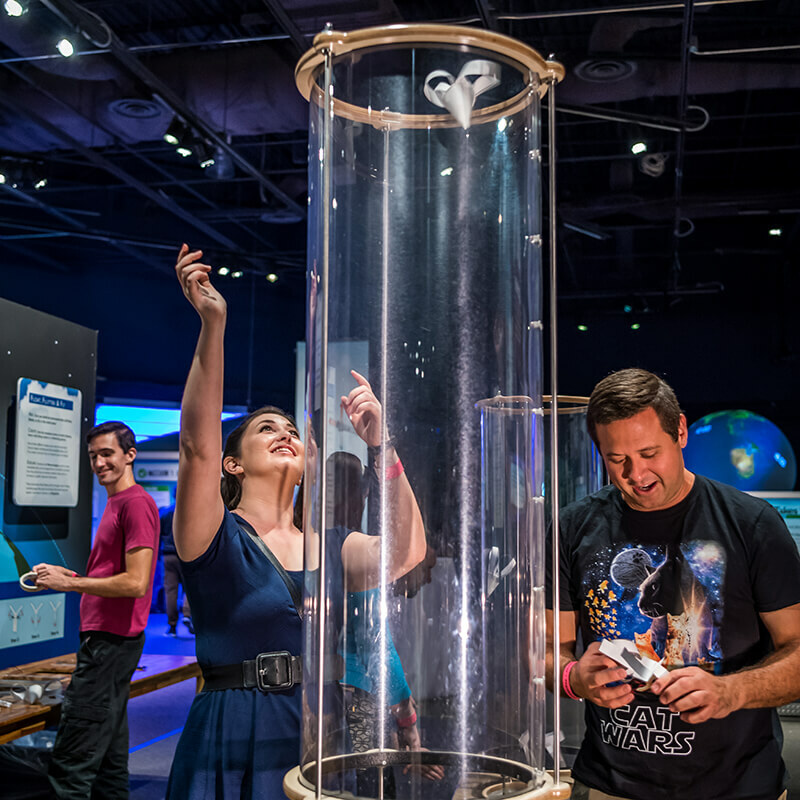 Our Planet offers a flurry of interactive experiences through which guests can experience weather and earth science. 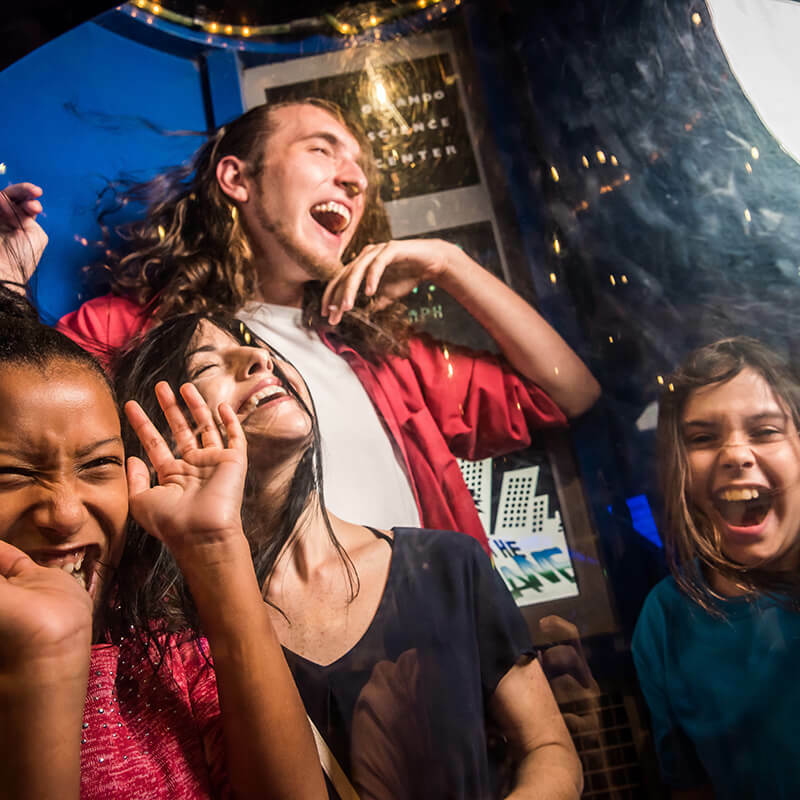 Brace yourself in the winds of a Category 1 hurricane, shake things up in an earthquake simulator, and find out what it feels like inside of a cloud! 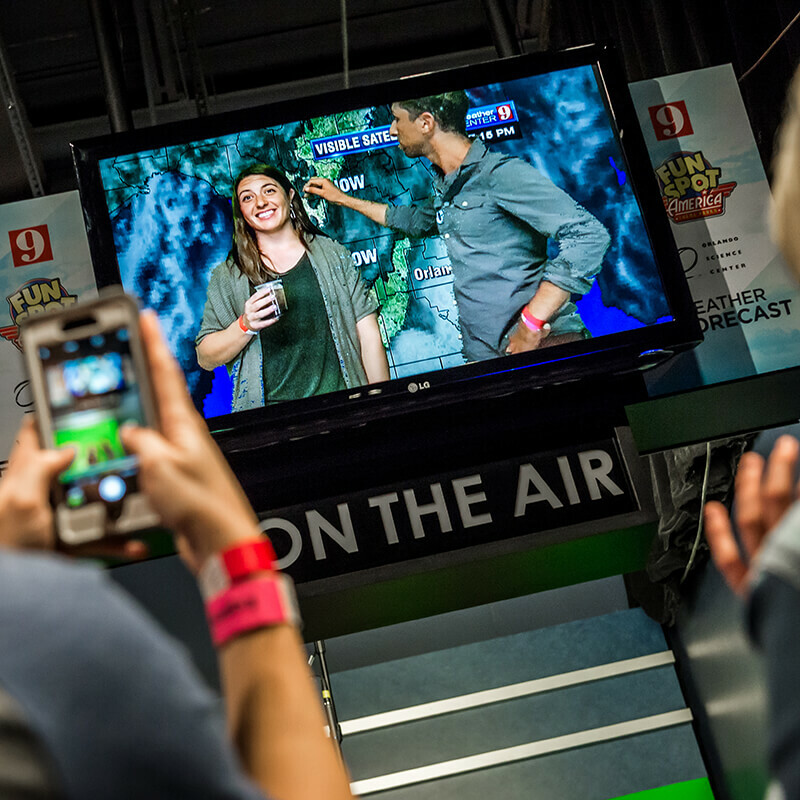 Plus, try out the green screen and report the weather at the WFTV 9 Severe Weather Center, or get a close-up look at the planets at Science on a Sphere. Become a meteorologist for the day and show “those guys” on TV how it’s really done! This experience is a working replica of the actual set used on WFTV’s weather forecasts. Learn how to put a weather forecast together using the same tools a meteorologist, then you can practice delivering it in front of a green screen – putting you right in the action as WFTV’s newest chief meteorologist! 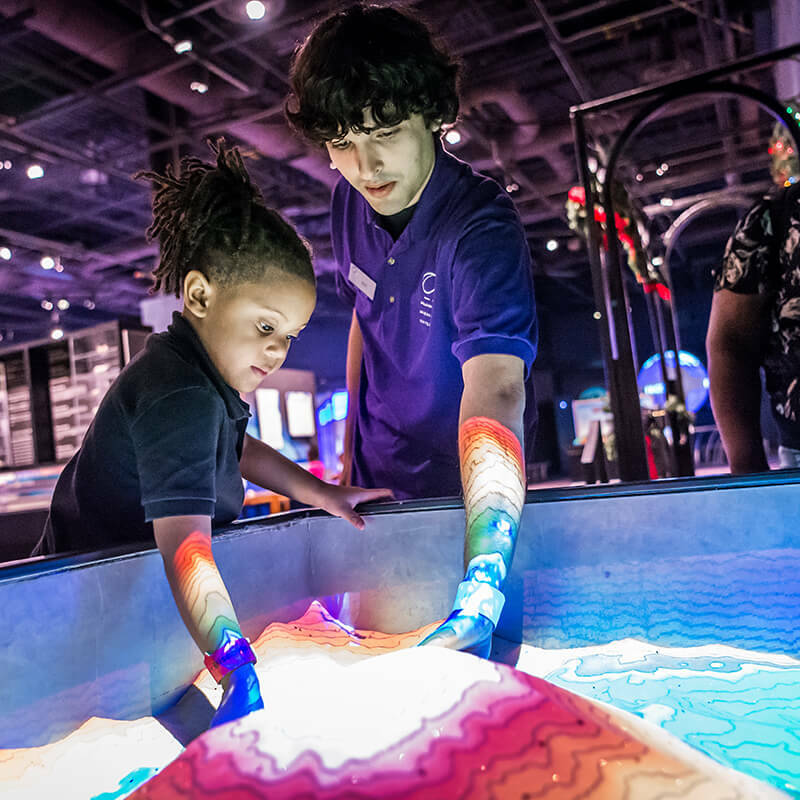 Learn about Earth and space science through a dynamic visual presentation using a six-foot suspended sphere and state-of-the-art projection technology. Explore our planet’s dynamic landscape and weather, tour the solar system and understand the complex relationship between our planet and its sister worlds. Show content varies by day so check the calendar or pick up a Daily Schedule upon arrival! 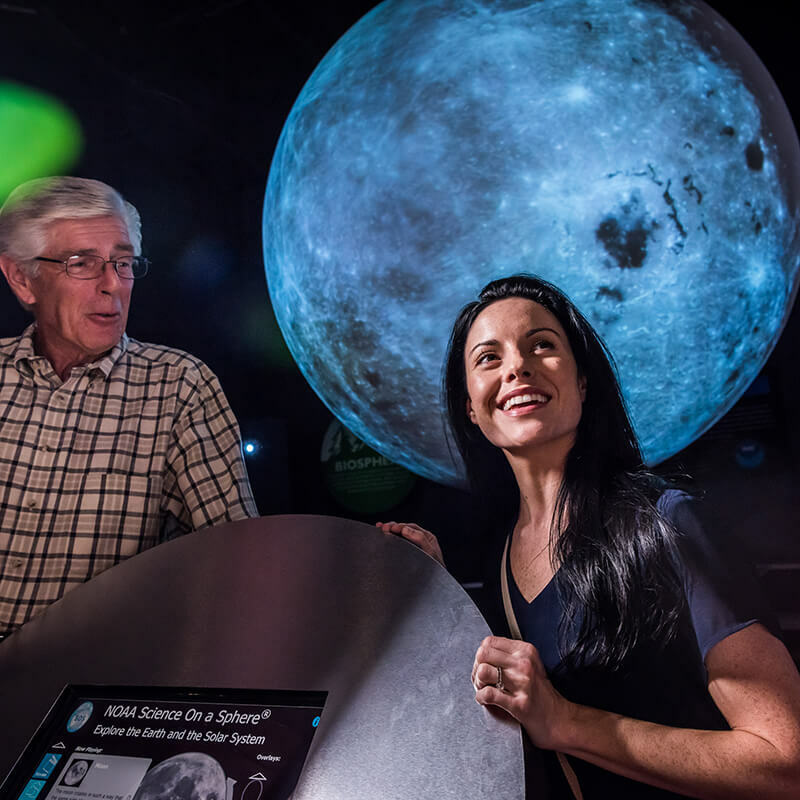 Within the Our Planet exhibit, Science on a Sphere presentations offer guests a dramatic visual experience using a suspended sphere and state-of-the-art projection technology. Tour the solar system and understand the complex relationship between our planet and outer space!